Te Papa’s Botany team recently ventured to a Wellington City Council Reserve called Hue tē Taka Peninsula/Moa Point located on the south coast of Miramar Peninsula. See a map of the area. Hue tē Taka Peninsula viewed from the mainland. Photo: Jean-Claude Stahl, Te Papa. Our aim is to compile a species list of the plant community, supported by vouchered specimens that will be stored in Te Papa’s herbarium (collection of dried plants). 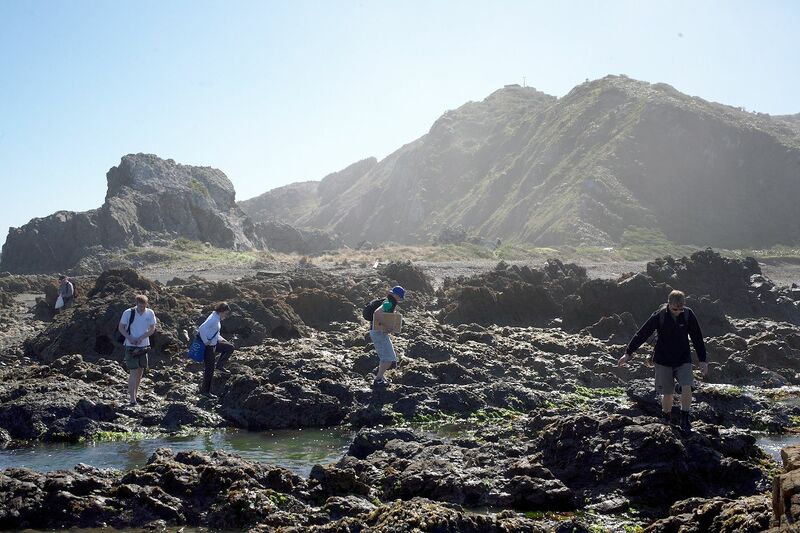 Most plant species including seaweeds, moss, liverworts, lichen, ferns and seed plants will be collected. Before collecting any plants, we obtained a permit from Wellington City Council. 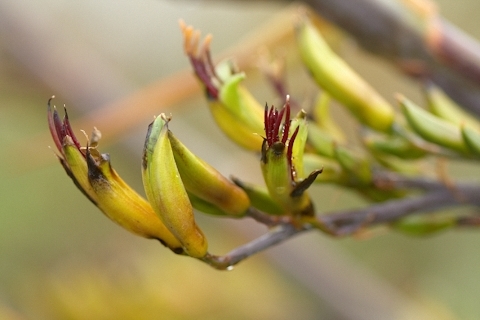 Mākaka (Plagianthus divaricartus), cited as increasingly uncommon in the Wellington region. Photo: Jean-Claude Stahl, Te Papa. The peninsula is effectively an island for most of the tidal cycle which means trips are limited to four hours and only once or twice a month, when tidal cycles are most compatible with our standard work hours. Shorter, more numerous trips work in well with the flowering component of the reserve’s flora since they flower at different times of the year. When making plant collections, we need to make sure that we collect good representative specimens which means having flowers present is an important prerequisite. Crossing the narrow gap to the island. Photo: Jean-Claude Stahl, Te Papa. Hue tē Taka Peninsula is an uplifted marine rock platform. 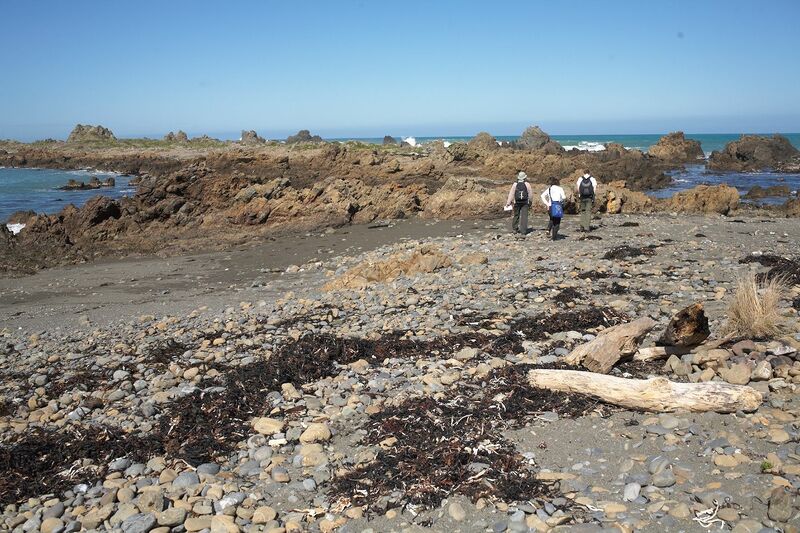 The exposed nature of the island and shallow soils are responsible for the low stature plant community found here; generally shrubland on the gravels and coastal herbfield/turf community in hollows. The harsh environment hasn’t stopped some taller stature species establishing though. Habitat photo showing a mix of turf and shrubland plant communities today. Photo: Jean-Claude Stahl, Te Papa. 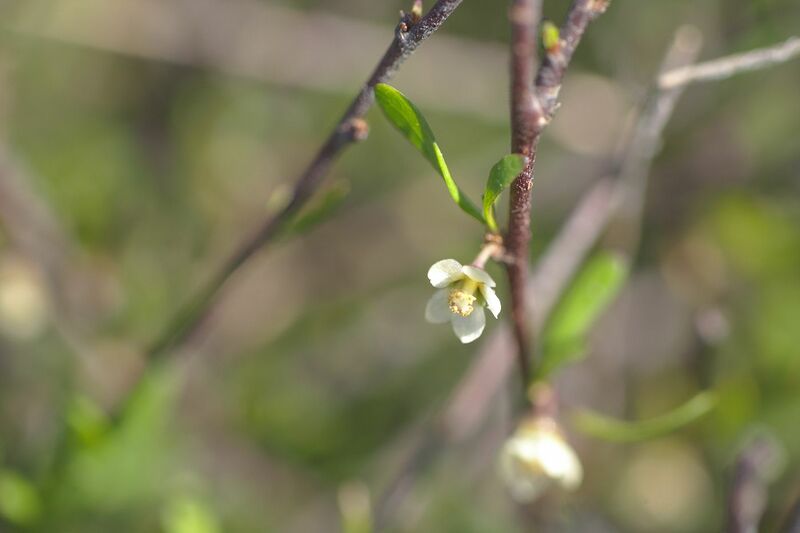 One obvious change in vegetation, since a 1992 survey, is the absence of karo (Pittosporum crassifolium). 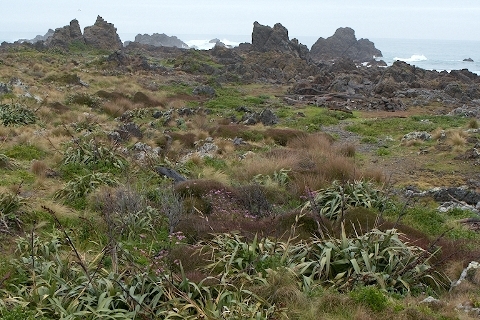 Karo is an introduced plant to the Wellington region and was beginning to dominate and change the structure of this unique coastal plant community. It has since been eradicated by the Wellington City Council and their contractors. Karo seedlings and other introduced plants continue to establish on the peninsula. 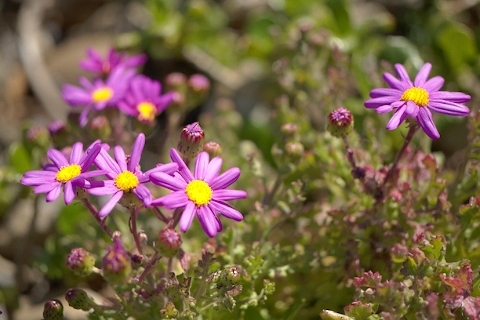 An introduced plant, Senecio elegans, in its full glory. Photo: Jean-Claude Stahl, Te Papa. 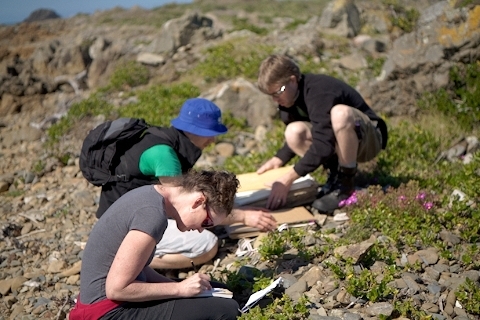 Helen Mechen records while Kent Chamberlain and Antony Kusabs collect a Senecio specimen. Photo: Jean-Claude Stahl, Te Papa. Wharariki (Phormium cookianum) were beginning to flower prolifically in late October. Photo: Jean-Claude Stahl, Te Papa. 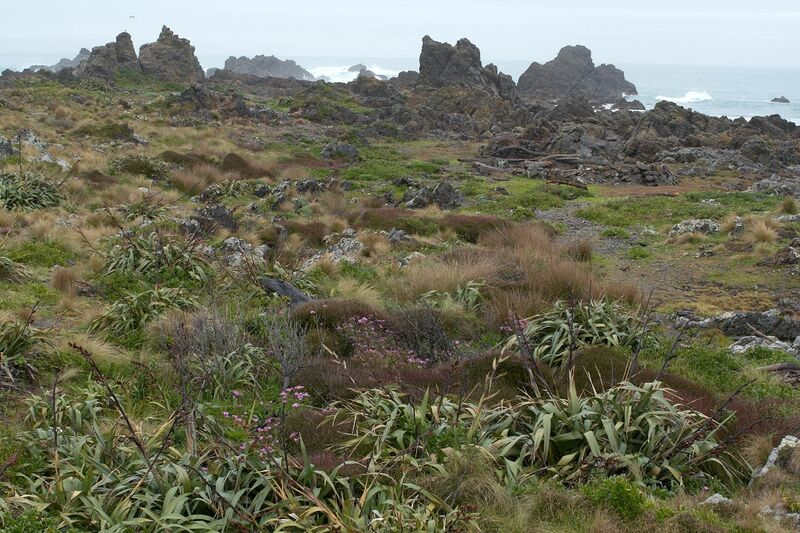 We’ll keep you posted through the summer and autumn with updates on more native and introduced plants found a Hue tē Taka Reserve.